The word honeymoon itself spurs joy and excitement in the newlywed couples. This phase is considered as the most romantic period during which the couples tend to increase their intimacy and develop strong relationships among them. Therefore, it becomes necessary to select a perfect destination that offers ultimate fun and enjoyment with lots of surprises. One such destination is Italy which is considered as a heaven for the newlyweds. To be more precise Venice is a place located on the northeastern coast of Italy that offers plethora of excitements and fun. This compact city is the home outstanding scenic beauty with rich culture and heritage. There are several reasons that make this place a perfect spot for honeymoon. Some of them are discussed below. The city is blessed with warm climatic conditions throughout the year due to its seaside location. The compact city offers you an opportunity to explore the streets holding the hands of your spouse. You can also taste the traditional Italian food during your trip in the best restaurants or sea side restaurants in a romantic atmosphere. The island cruises and the gondola rides are the best attractions of this place. If you are willing to maintain your privacy and spend some peaceful moments with your partner avoid visiting this place in the peak season. During the peak season this place is fully packed with tourists and showcases busy streets and restaurants. 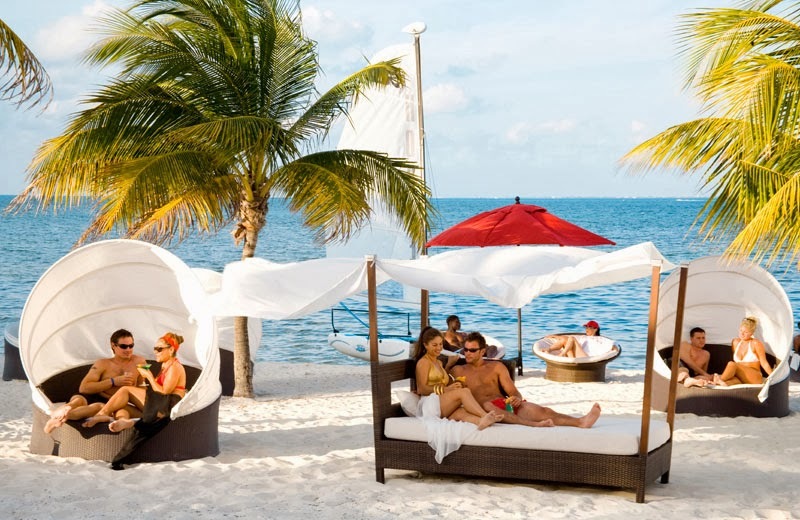 The months from April to June and September to October are considered as the best time for the couples to enjoy all the pleasures of this place and spend time in the peaceful atmosphere. The weather during these months is also pleasant. 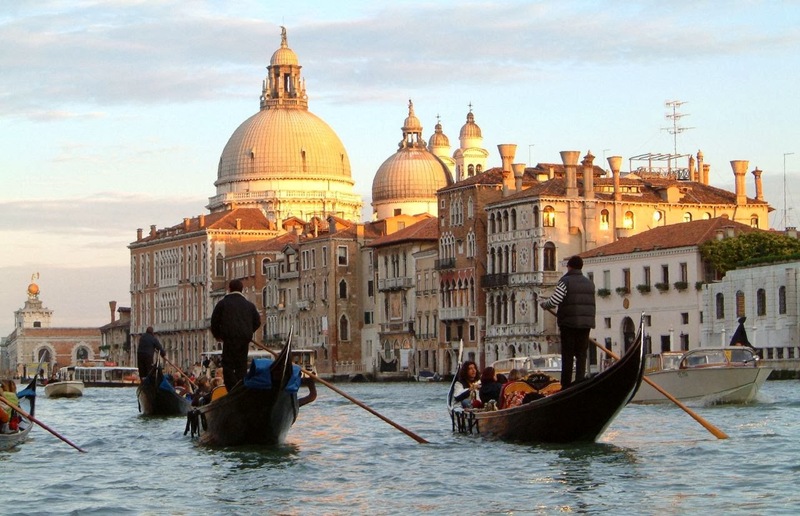 Going for a cruise on a vaporetto serves as the best romantic activity that can be opted by the couples. You can take a ride to the St. Mark’s Square and feel the coolness of the air. It would be more romantic if you plan your cruise at night and exchange hugs when the vaporetto shakes in the sea waters. It is a must to do activity for the couples. You can view the picturesque beauty of the whole city sitting beside your partner in the gondola. This seems exciting and romantic. The city is the home to several restaurants that offer delicious food in a romantic atmosphere. You can book a table in the garden of the restaurant and enjoy the traditional dishes sitting beneath the open sky and glittering stars. Honeymoon is the best time to have a healthy interaction with your spouse and build a strong relationship. 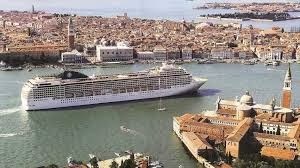 So, plan a visit to Venice and enjoy to your fullest. Fiji is a perfect destination for the newlywed couples with the special facilities that are designed and tailored in an outstanding manner to make their trip unforgettable. 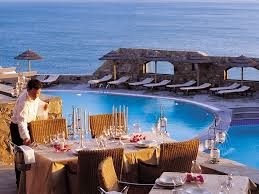 This place serves as an ultimate hideaway for romance in the astonishing and beautiful environment. Located in the South Pacific region, this island destination offers eye catching scenery with endless blue waters, sunshine and swaying tall pine trees. 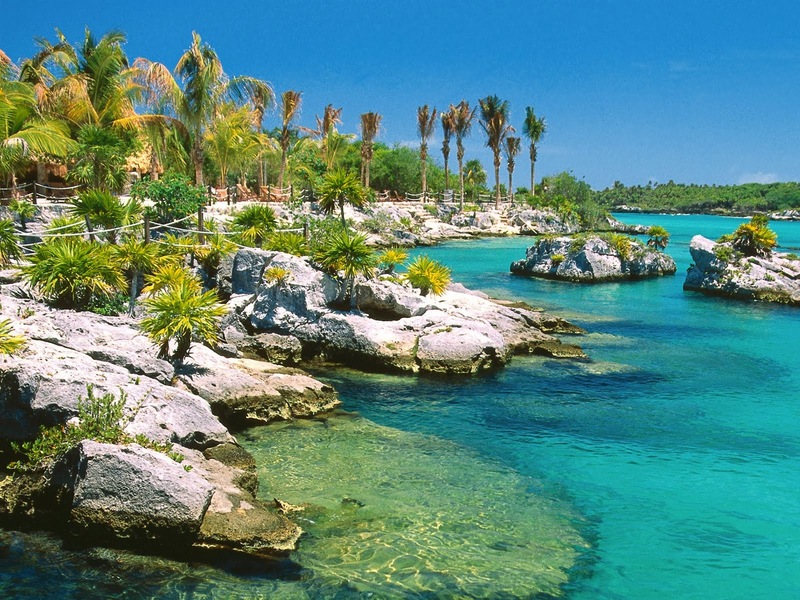 This place offers plethora of activities and attractions that can be visited by you during your trip. The couples can explore the whole city holding hands and enjoying the pleasant weather of this place. To have extreme enjoyment and fun you can visit this place in the months of November to April. The climate is warm with cool breeze that allows you feel the romance in the atmosphere. These months also offer long daylight hours during which you can roam about with your spouse. 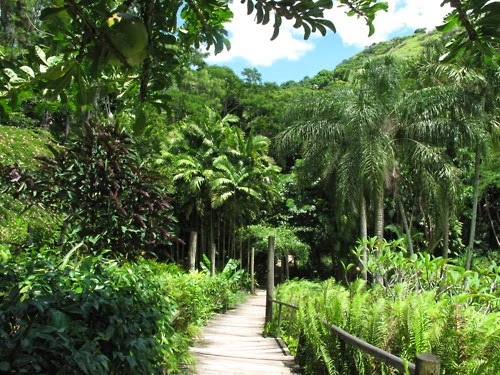 This garden is full of numerous varieties of plant species and palm trees. It fulfills the expectations of the nature lovers with the blooming colorful flowers, swaying palm trees and exotic varieties of orchids. This park also features hiking trails and a hot spring which can be looked upon by you. This is the best alternative when you are not willing to indulge in the seaside activities. This museum offers you an opportunity to explore the culture and traditions of this place. The several exhibits on display portray the story of the rise of this place from a tribal conflict to an amazing tourist paradise. There is a lawn in the front of the museum where you can sit and relax with your partner. The best means of entertainment in this place is the traditional dance show which is a custom of this place. The custom involves dancing in order to appease the gods. The dance involves a great combination of the chanting, rhythmic clapping and singing. You can make your bookings in any of the theaters and have the pleasure of viewing this Meke dance show. The Pacific Ocean offers wide range of activities that can be enjoyed by you. 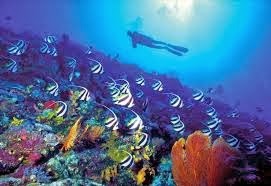 Most common ones include deep sea diving, snorkeling, river rafting, fishing, jetboating, canoeing, trekking, wildlife safaris and much more. You can have endless fun during these activities. If you are also in search of a place for your honeymoon, visit Fiji for lifelong cherishing memories. You are surely going to enjoy each and every moment of your journey. If you have had enough of Europe on every Christmas then try out a different destination this time which you will remember all your life for its exotic and most colorful Christmas celebration ever. Visit Singapore in the Christmas holiday this year to see the humungous celebration of the festival in the very own style of the natives there. 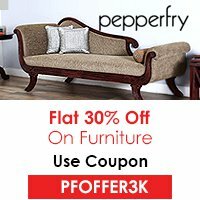 This South East Asian Island state is unique from the western experience in every way. You will feel that people here are happy, enjoying, dancing to the tunes during the festival but the tradition and the environment is entirely different from elsewhere. This is the traditional festival held in Singapore during the Christmas season and everyone irrespective of the religion indulges in this festival. The main attractions during this festival are shopping, Christmas lights and Santa adorning all fur jacket and coat though the place is in the middle of the tropics when you go to Singapore during Christmas, it is almost impossible to ignore the beauty and decoration of Orchard Road Shopping District which bathes in the lights. Entire Orchard Road and Marina Bay are decorated and the malls and shops offer huge discounts and deals on the gifts and Christmas items. This road is entirely and beautifully decorated with the lights, lamps, ribbons and Christmas trees. The light shows are the main attraction for the tourists as well as the visitors who come here for shopping. The road runs from Tanglin to Concorde Hotel. 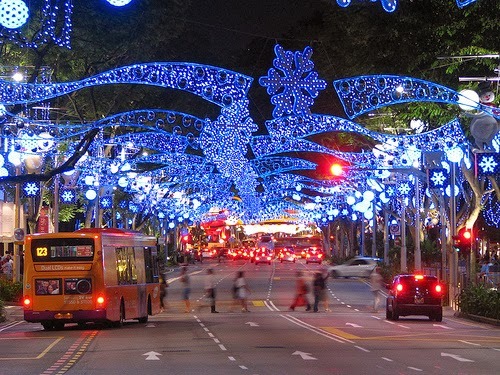 Visit Singapore from November 23 to January 5th in order to see the Orchard Light Up. 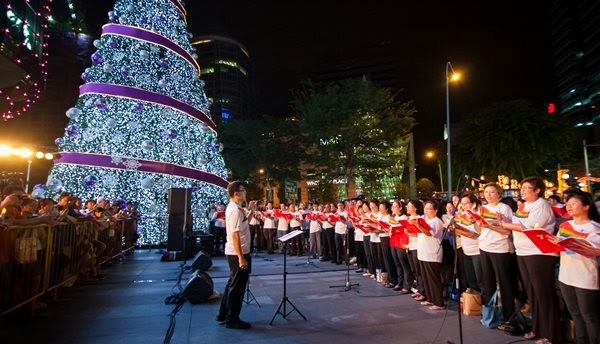 To experience the heavenly Christmas lighting, visit this place where 30 “ChariTrees” are decorated and light up the whole Marina Bay Waterfront Promenade after 7pm. This year the light up has started from November 23 and will last till December 27th. 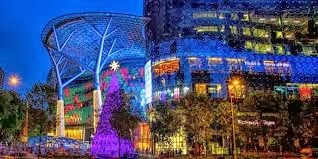 Though these two are the most popular and attractive places to visit in Singapore during the Christmas, whole State is decorated and illuminated during the festival. The celebration at different places starts generally from December 17 and spreads till December 25th. 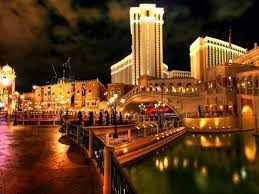 Throughout the night parties, dance, night lights shows and music covers the city and gives the most amazing experience. 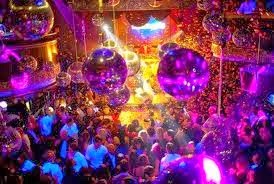 Usually there are three places where all the events and galas are performed. The main performances are given along the three stages in front of the Tong Building, near Wisma Atria and at Mandarin gallery. 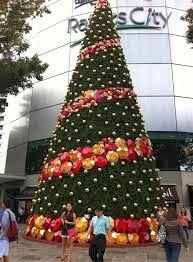 If you want to enjoy Christmas in a slightly different way than what you experienced in Europe and West, then Visit Singapore.